An interview with Professor Jack Gilbert, conducted by Alina Shrourou, BSc. What is a microbiome and why are microbiomes unique to an individual? A microbiome is the sum total of the microbes of bacteria, fungi, and viruses that live inside your body. They are all over your skin and in your gut. Bacteria alone accounts for 2-3 lbs of your body mass. What's interesting is that when you're born, you're mostly sterile. You acquire microbes from your mother and the environment. Then, the way you live your life and the things you interact with shape the kind of microbes that colonize and live inside you. This results in your own unique profile, and even identical twins have different profiles. Please outline the Burglary Microbiome Project that you discussed at Pittcon 2018. We've been trying to understand if our bacterial signature can act like a fingerprint, and be used as some kind of forensic tool, like trace evidence. We emit around 36 million bacterial cells into our immediate environment every single hour – so if a burglar in a room for 10 minutes touches objects and leaves behind some their bacteria, can we detect their personal bacterial signature by obtaining some of the bacteria present in the room? It could then be possible to sequence the information, as we do with human DNA at a crime scene, and therefore identify that individual. It’s an interesting idea, and at the moment it's a very early research project that we’re working on with the National Institute of Justice. How do you determine whether a microbial organism is associated with a particular trait? We’ve been trying to see if the bacterial signature that lives inside us is somehow correlated with our lifestyle choices. The signature that belongs to you is very much determined by how you've lived your life; whether you had pets growing up, whether you grew up in a city or a farm etc, are all factored in. Different working environments can determine what bacteria live inside you, how they grow and how they’re distributed, so we wanted to see if that correlates. We built up a database of over 12,000 people and we've been correlating how similar our mock burglars microbiome signatures are to people in our database. It's complicated, but we're getting really close to identifying somebody's lifestyle traits based on the microbial signature they leave behind at a crime scene. What analytical techniques are you using to identify microbial biomarkers? We leverage genome sequencing, especially the Illumina platforms - DNA extraction, and PCR amplification, much the same way as we would with human DNA sequences. We identify a particular gene present in all bacteria which we then sequence and use to determine which bacterial organisms are present in different subjects and what makes an individual unique. We then produce a probability estimate that your bacteria would be found in a certain environment. Using advanced statistical techniques, we try and identify whether your bacteria’s sequencing data can place you at that crime scene. Please outline any specific biomarkers that you have already identified in this project. The way in which we analyze the microbiota is by looking for unique strains of organisms. We all have one particular species of E. coli living inside our gut, and we all have Staphylococcus epidermidis living in our skin, but each individual has a strain with a genotype and genome unique to them. It evolves with you and mutates over time, and we call those mutations biomarkers. We're using that information to try and identify whether we can pull out particular genotypic mutations, or biomarkers, which are unique to an individual. If an individual’s lifestyle can change throughout their lifetime, does this mean that their microbiome can too? If so, are microbiome signatures always an accurate identification tool? We are trying to answer a very particular question; whether the microbiome profile of an individual is stable and stays with you throughout your life. We hypothesize based on all the data we've collected that we have a unique strain based composition which is a fingerprint of our microbiota, but we haven’t proved this, and there are lots of factors that could alter this theory. Part of this project is to try and identify whether our microbial fingerprint stable, and how stable it is. Once you leave a trace of your bacteria signature on a doorknob or television set, does it decay? And if so, how rapidly? Using Microbiome Analysis for Crime Scene Investigation from AZoNetwork on Vimeo. What do you think the future holds for using an individual’s unique microbiome in this way? Or for other applications? The future is really exciting. We can potentially use the microbiome in forensic science, but that would be in the distant future. The human DNA program for forensic evidence took decades, and we’re only just starting our journey. 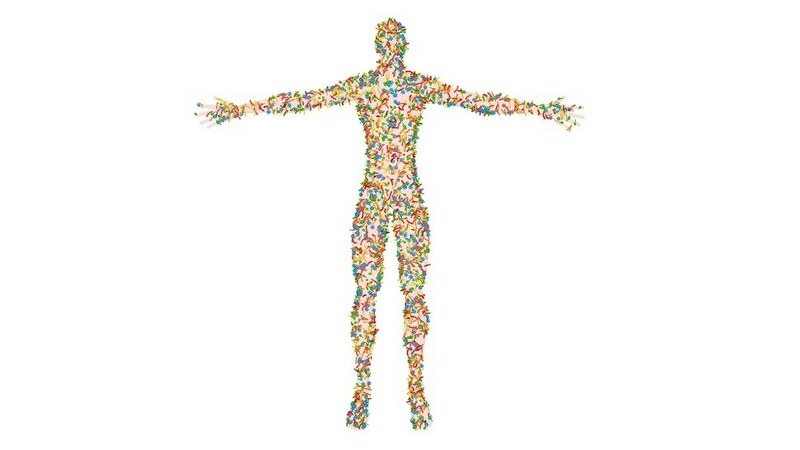 What's most exciting is we can also use the microbiome information inside our bodies in personalized medicine, using the microbiome to predict whether an individual will respond to a particular therapy. We could screen a cancer patient’s microbiome and determine if they have the biomarkers that can indicate their response to immunotherapy, which can help health care professionals identify their ideal strategy for therapy. We can use this to tailor treatment to the individual rather than the average treatment of a population. How can Pittcon 2018 help you with your research? What's exciting about Pittcon is that it brings together a whole group of technological experts in areas that I wouldn't normally have access to. Being able to access the breadth of experience and technologies that are available to me here gives me more opportunities to expand my research objectives and to do something novel and exciting, that perhaps I wouldn't normally have the chance to be involved in. 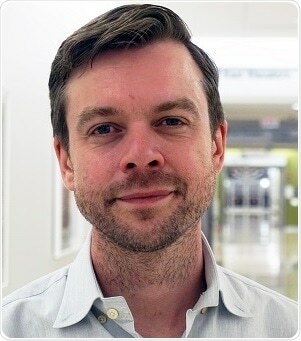 Professor Jack A Gilbert earned his Ph.D. from Unilever and Nottingham University, UK in 2002, and received his postdoctoral training at Queens University, Canada. He subsequently returned to the UK in 2005 to Plymouth Marine Laboratory at a senior scientist until his move to Argonne National Laboratory and the University of Chicago in 2010. Currently, Professor Gilbert is the Director of the Microbiome Center and a Professor of Surgery at the University of Chicago. He is also Group Leader for Microbial Ecology at Argonne National Laboratory, Research Associate at the Field Museum of Natural History, Scientific Fellow at the Marine Biological Laboratory, and the Yeoh Ghim Seng Visiting Professorship in Surgery at the National University of Singapore. Gilbert uses molecular analysis to test fundamental hypotheses in microbial ecology. He has authored more than 250 peer reviewed publications and book chapters on metagenomics and approaches to ecosystem ecology. He is the founding Editor in Chief of mSystems journal. In 2014 he was recognized on Crain’s Business Chicago’s 40 Under 40 List, and in 2015 he was listed as one of the 50 most influential scientists by Business Insider, and in the Brilliant Ten by Popular Scientist. In 2016 he won the Altemeier Prize from the Surgical Infection Society, and the WH Pierce Prize from the Society for Applied Microbiology for research excellence. He also co-authored “Dirt is Good” published in 2017, a popular science guide to the microbiome and children’s health.